Sleep is often the first aspect of your life that is affected when you become depressed. You may find that you are sleeping too much or you might not be able to sleep for more than a few hours each night. ● Imagine your bedroom. What does it look like at night? Is there always a television on while you sleep? Does light filter in from the hallway or bathroom? Is your alarm clock particularly bright? The smallest amount of light can alter your sleep, preventing you from achieving full REM sleep. In turn, this affects your body’s ability to secrete the human growth hormone, which repairs and replenishes the body during the night. Turn off all lights and sleep in full darkness, and you will begin to feel more rested upon waking. ● Try going to bed earlier. You must allow your body to progress through the stages of sleep, as your cycle through non-REM and REM cycles during the night. The earlier you fall asleep, the easier it is for your body to move through the many stages of sleep. ● Try taking a calcium/magnesium supplement. Calcium eases stress, nerves, muscle tension and regulates mood. Magnesium is necessary for the absorption of calcium into the body. Taking calcium before bed helps to calm your daily stress and prepare you for a better sleep. ● Let the morning light in… have your curtains open a little, so that the light can come in during the morning hours. When feeling depressed, there is a tendency to shut out the world, and the light, but the body is built to run on circadian rhythms of light and dark. Keep your room dark at night, and light during the day. ● Be aware of the allure of sleeping. You may want to distract yourself by sleeping, because it seems like an escape from reality. However, oversleeping can cause you to feel worse. 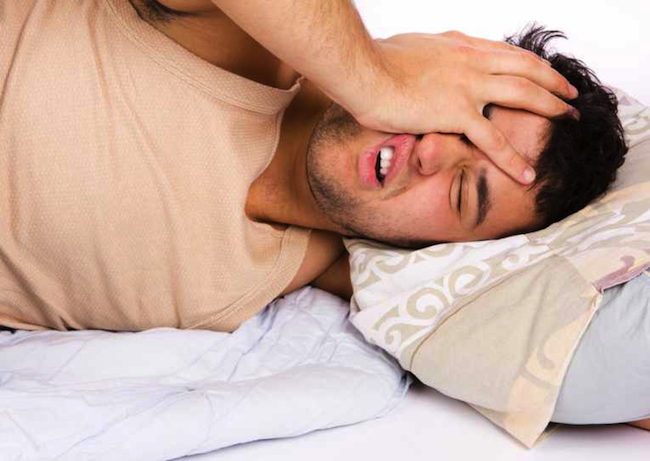 Too much sleep can cause you to feel groggy, disoriented, and lethargic during the day. These feelings can worsen your sadness as a result of your depression, and create an ongoing cycle. For both oversleeping and under-sleeping, it is important to create a routine. Go to bed at the same time, and get up at the same time, whether or not you have a place to be in the morning. Set an alarm in the morning. Just by paying attention to the light and dark, establishing a routine, and taking calcium/magnesium, you can improve your sleep by a significant amount. Once you feel well-rested, you can combat other issues that accompany depression. It may take a few weeks to establish healthy sleep patterns, and it might seem challenging at first, but good sleep hygiene is essential to restore your body and mind at night, so you can function properly during the day.